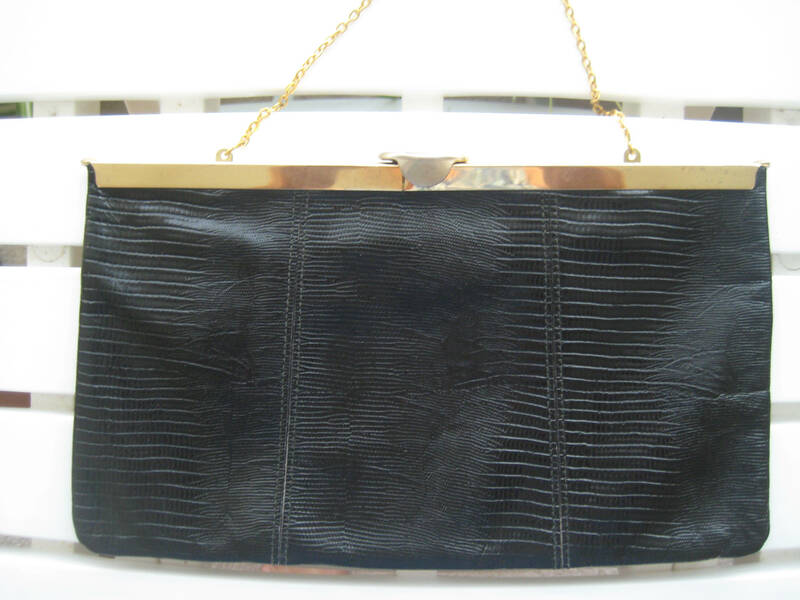 Wonderful lizard look leather bag by Etra. 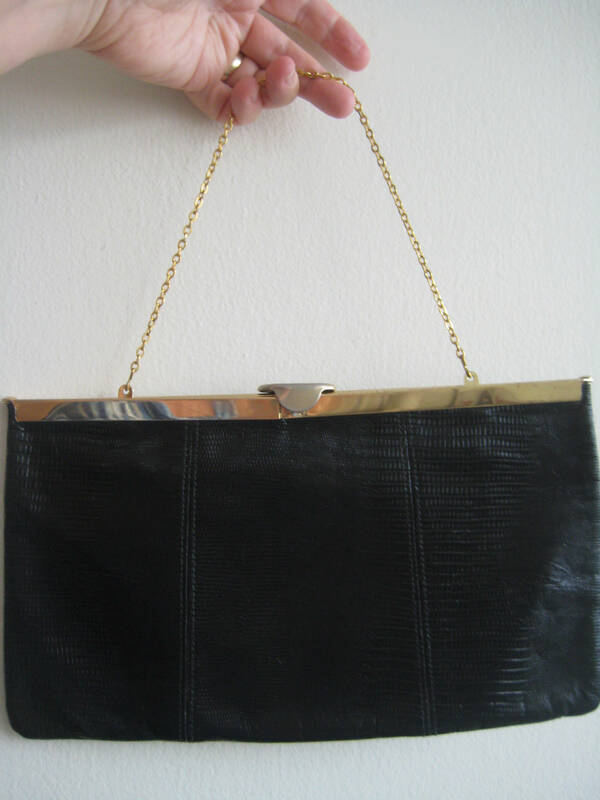 Sharp looking bag from the 60's! 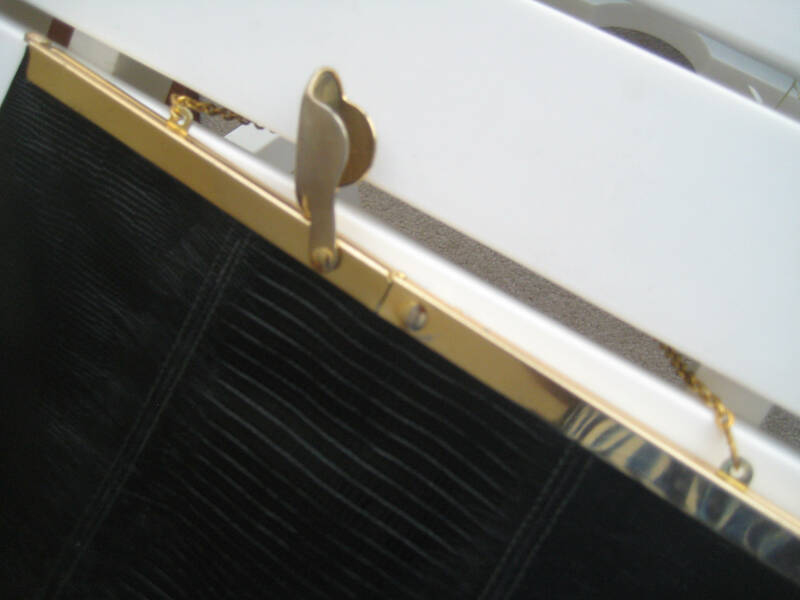 Gold tone metal frame and chain strap with a 6 inch drop. 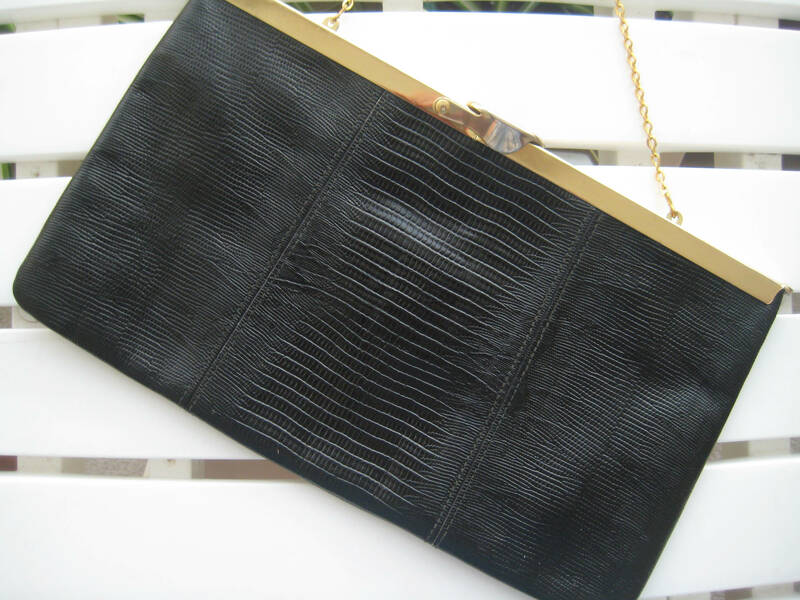 The strap can be folded into the bag to use as a clutch. Classic Etra metal flip up/down closure with matching black leather trim. 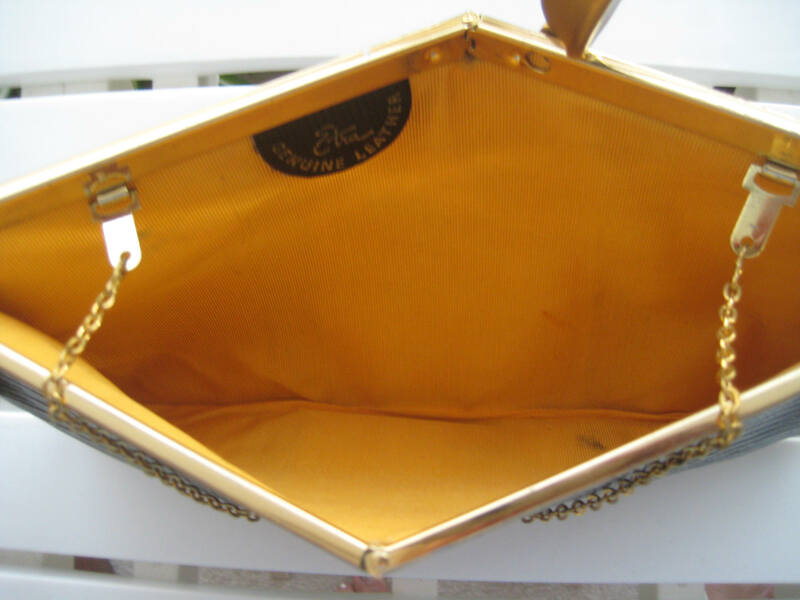 Gold polyester interior lining. Very good shape but with a few pencil marks in the bottom.